The latest book from Professor Howard J. Sherman is written in simple language, while making its economic points with ample scholarly logic and evidence. The book was inspired by the campaign of Senator Bernie Sanders for the Democratic Party Presidential nomination in 2016. The author is Professor of Economics Emeritus at University of California, Riverside; and is a Visiting Researcher at the Political Science Department of the University of California at Los Angeles. He has published 21 books on economics and over 100 academic articles. This book is groundbreaking in two respects. First, it reveals through economic statistics that in the American economy since roughly 1980, when conservative economic theory became the primary U.S. Government policy, that economic inequality has continually increased while fewer and fewer people are able to find jobs with a living wage. Current Conservative economic policies are accelerating the transfer of our countries wealth from the middle class and poor to the wealthiest one percent. Second, Sherman provides ample evidence that the most important factor causing business expansions to turn into contractions, recessions, and depressions, is the rise of economic inequality in each expansion. The author explains how stagnant wages for the workers and soaring profits for the business owners leads to the rise of inequality. Nobel Prize winning economist Joseph Stiglitz has written excellent books on the rise of inequality in the economy. Sherman, however, is the first to document how inequality is also a major reason for the boom and bust cycle in the capitalist economic system. To explain the cycle of boom and bust, conservative economists focus on non-economic factors, such as government mismanagement. 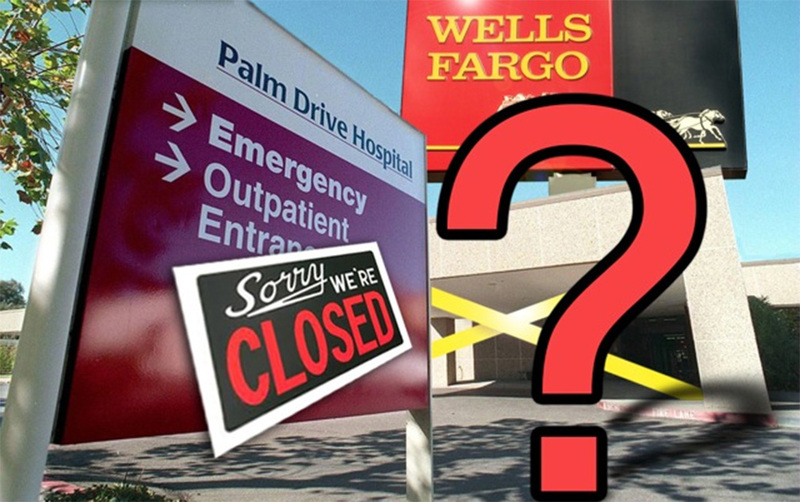 They argue for elimination of government services to the middle class and the poor, and to eliminate all regulations governing the risky profit seeking of the banks and other corporations. The author describes in detail how those policies added to the factors that caused the Great Depression in the 1930’s, and the recent Great Recession of 2008 to 2009. The progressive policies enacted under the Roosevelt Administration during the Great Depression helped end the suffering and economic ruin at the time. Like in the Great Depression, people today are finally realizing how the policies promoted by people like Senator Elizabeth Warren and Bernie Sanders are the only way the great wealth of our country can be enjoyed by the many instead of the few. Sherman proposes nine progressive policies to help end the destructive economic cycle of boom and bust. If enacted by the government, the book’s proposals would create permanent full employment, a much higher economic growth rate without major inflation, and prosperity for all of the population, instead of for only the wealthiest one percent. The first two proposals are free and universal medical care for everyone, and free and universal higher education for anyone that qualifies for that level. Besides helping people to get better jobs through more education, and to stay healthier and therefore more productive, these two programs would create new jobs, increase equality in income, and add enormously to the Gross Domestic Product. Another way to create economic prosperity would be a minimum wage high enough to be a living wage. It is possible with bold progressive policies to create a stable financial system, instead of costly bail outs for failed financial institutions. Government programs, such as improving infrastructure and promoting clean energy, could provide jobs to guarantee full employment, when private industry cuts jobs during an economic slowdown. A more progressive tax structure, where the middle class and poor paid a lot less, while the wealthiest one percent paid more, would help pay for the other proposals and stimulate the economy by lowering the level of economic inequality. The author also proposes that a progressive government make citizens of all undocumented aliens who have no criminal record, and end all discrimination by race, gender, religion, or sexual orientation. Conservatives will argue that we cannot afford free universal health care, free higher education, or any of the other progressive proposals in the book. 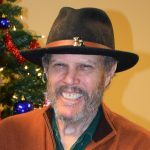 Sherman replies what we can no longer afford is the elitist conservative economic and political policies that have transferred most of our world’s wealth into the hands of a few at the expense of the many. To achieve these goals, however, would require a democratic or political revolution through the election system. The author hopes the proposals in his book will provide a blueprint to support the resistance to the political power of the wealthiest one percent. 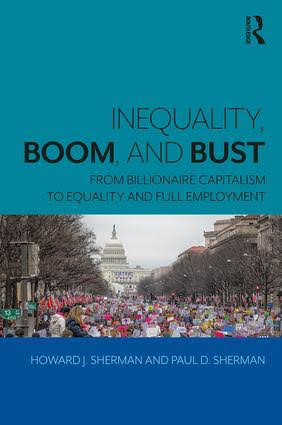 The book is available on the Publishers web site: https://www.routledge.com/Inequality-Boom-and-Bust-From-Billionaire-Capitalism-to-Equality-and/Sherman-Sherman/p/book/9780815381297.